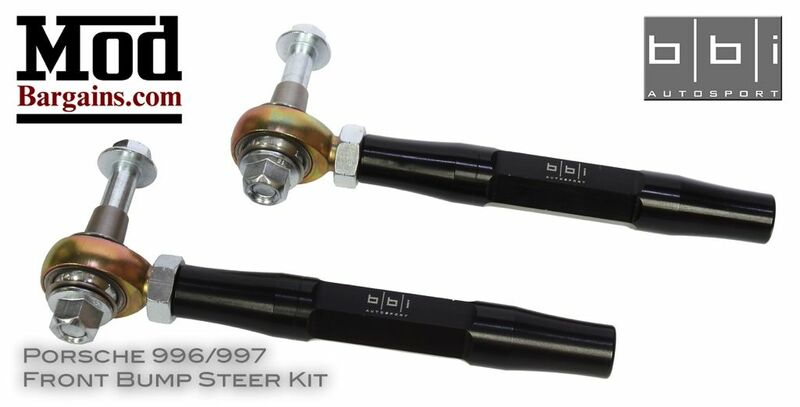 Maintain proper suspension geometry while being lowered with the BBi Front Bump Steer Kit. 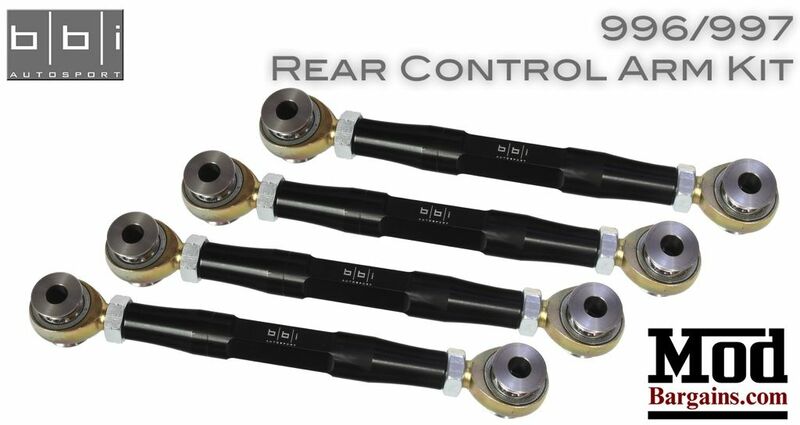 BBi's advanced suspension components represent the culmination of years of winning experience in professional motorsports. Each component is designed to work together as a complete system elevating your 911 driving experience to new levels of performance, handling, and driver engagement. 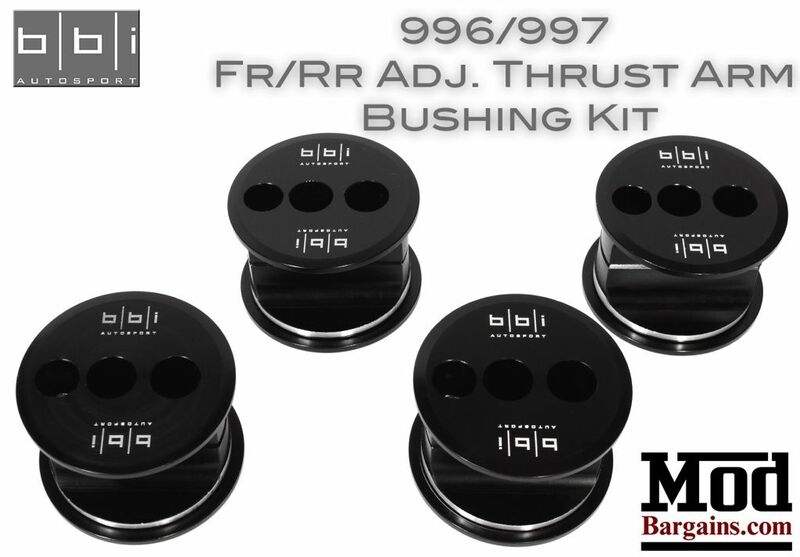 BBi's M-Track kit offers a range of adjustment and tune-ability unparalleled in the 911 tuning community. Designed to be both light weight while surpassing the strength of the GT2s already track tuned suspension components. 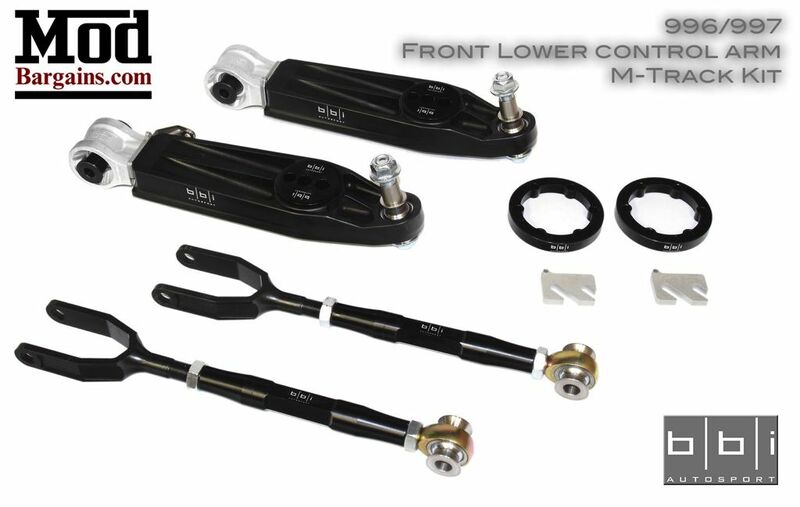 The M-Track kit is highly recommended for lowered vehicles and drivers wishing to run more aggressive track alignment settings while maintaining proper geometry with out damaging CV joints and related components.